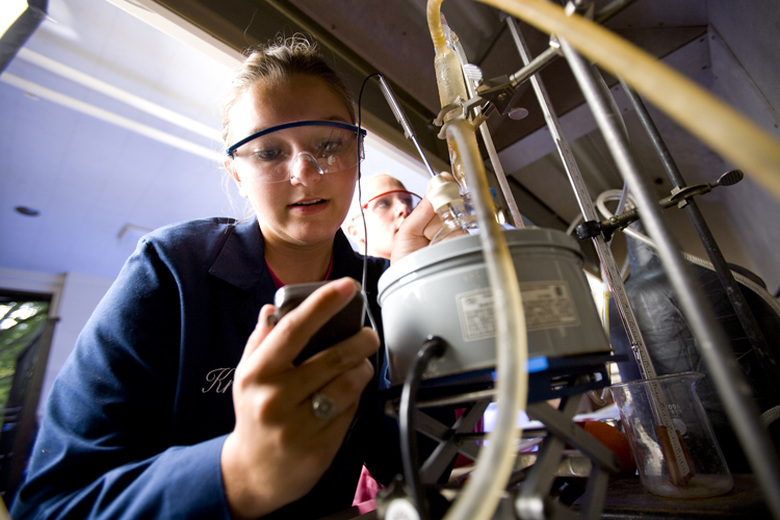 Saint Mary's College Photo #2 - Along with Saint Mary's strong science programs, an engineering degree is offered from Notre Dame through a dual degree program with the College. 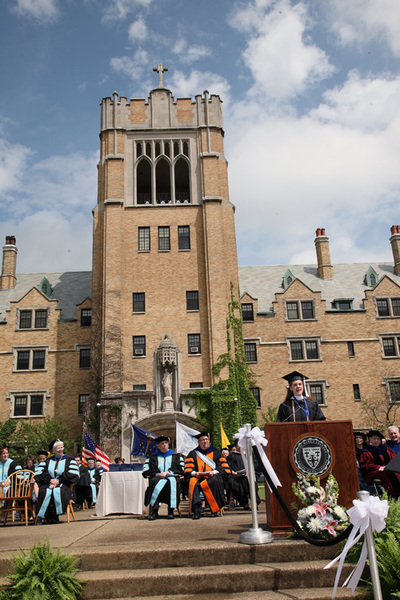 Saint Mary's College Photo #3 - In addition to the close community and excellent academics of Saint Mary's College, enjoy the traditions and opportunities that Notre Dame has to offer right across the street. Saint Mary's College Photo #4 - Eighty-one percent of Saint Mary's students live on campus in the five residence halls, including senior apartments, making it easy to stay connected. Saint Mary's College Photo #5 - Many students agree that once they see the 75 acre campus in person, they fall in love with Saint Mary's College. 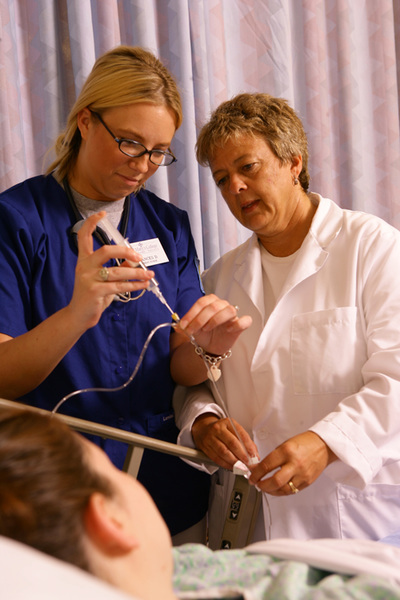 Saint Mary's College Photo #6 - Nursing majors follow a rigorous four-year program of study, including liberal arts and professional nursing courses, as well as valuable, hands-on clinical experience. Saint Mary's College Photo #7 - Saint Maryâ€™s faculty are experts in their fields who hold degrees from prestigious universities such as Brown, Notre Dame, Princeton, and Stanford. They focus on teaching and making you their priority in the classroom. Saint Mary's College Photo #8 - Join the ranks of our country's top women leaders. Saint Mary's alumnae succeed in a wide range of fields regionally, nationally, and internationally. The focus of Saint Maryâ€™s College is educating women â€“ educating you â€“ to make a difference in the world. Our goal is to makeyour Saint Maryâ€™s experience as intellectually, spiritually and socially enriching as possible. 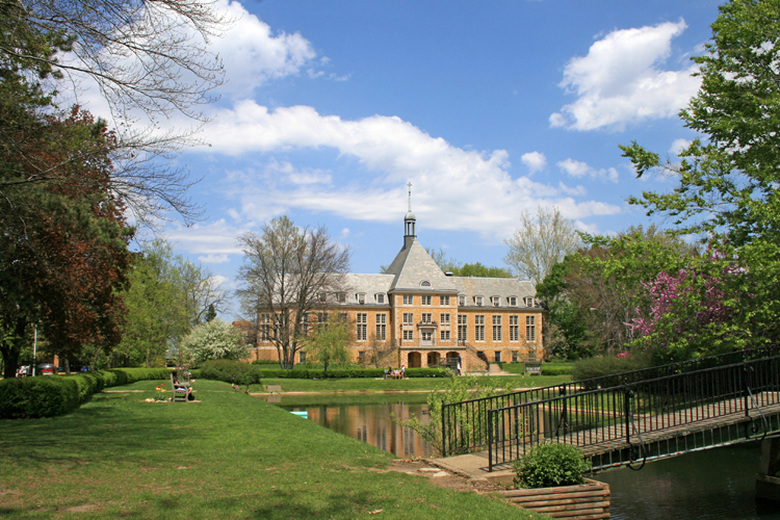 Saint Maryâ€™s College is a Catholic, residential, womenâ€™s college in the liberal arts tradition. Apioneer in the education of women, the College is an academic community where women develop their talents and prepare to makea difference in the world. Founded by the Sisters of the Holy Cross in 1844, Saint Maryâ€™s promotes a life of intellectualvigor, aesthetic appreciation, religious sensibility, and social responsibility. All members of the College remain faithfulto this mission and continually assess their response to the complex needs and challenges of the contemporary world. Dedicated to the personal and social growth of its students, Saint Maryâ€™s cultivates a community ofstudents, faculty, and staff, which responds to the needs of women. In order to offer the richest educational experiencepossible, the College strives to bring together women of different nations, cultures, and races. It provides a residentialenvironment where women grow in their appreciation of the strengths and needs of others. 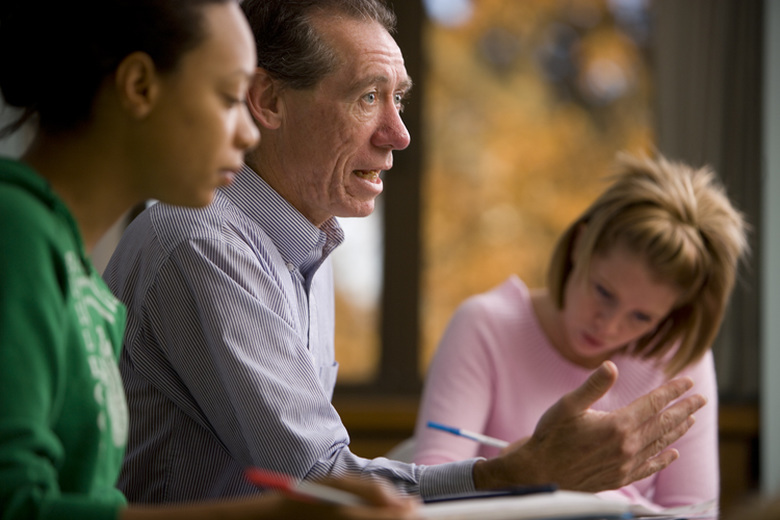 Through a host of co-curricularprograms on campus and in the local community, Saint Maryâ€™s initiates students in the habits of civic responsibility.Engaging in all aspects of the college experience, students acquire the hallmarks of a liberally educated woman: keenself-knowledge, lively imagination, lifelong intellectual and cultural interests, and the ability to make sociallyresponsible choices about the future. Saint Maryâ€™s offers the B.A., B.B.A., B.S., B.F.A., B.M. and over 30 major areas of study. Click herefor a full listing of majors. In addition, Saint Maryâ€™s College and the University of Notre Dame have established acooperative engineering degree program. Students may design their own major if they wish or earn a minor or minors in any of23 academic areas. Saint Mary's is located in the city of South Bend, Indiana, Within walking distance of the Universityof Notre Dame, we are approximately 90 miles from Chicago and 160 miles from Indianapolis. Saint Maryâ€™s is within easy accessto the regional airport and interstate highway system. Saint Maryâ€™s consistently ranks at the top of its category in the U.S. News and World Reportâ€™s annualsurvey of American colleges and universities. Saint Maryâ€™s ranks as a top liberal arts institution.